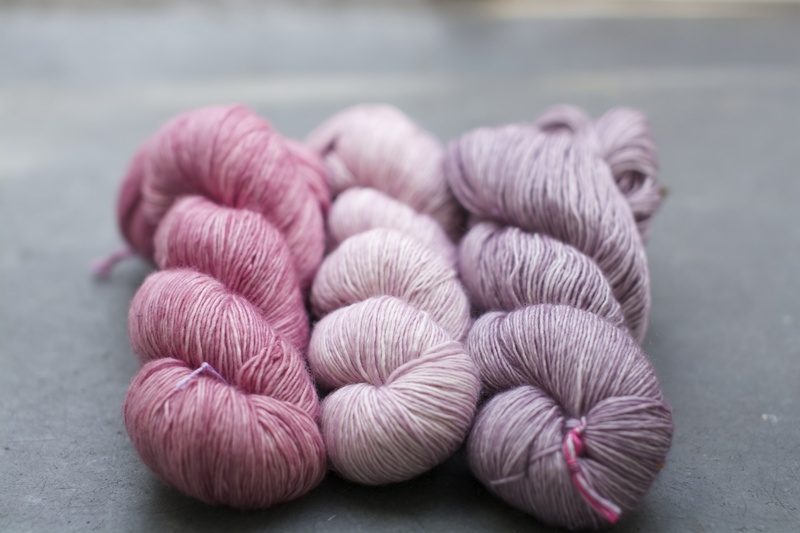 I did not plan to look for yarn stores when we were going for a weekend trip to Paris, but last week I stumbled over a nice piece written by Miss Agnes (Paris, Saint-Germain des Pres) about the district we were to stay in. And I could not resist asking her if she knew about any nearby stores… And to my luck; she recommended the store L’Oisive Thé & Tricot in the 13th arrondissement, close to the Place d’Italie. As it is a combination of yarn store and a sweet little tea house, it was open on Sundays as well. I convinced two of the kids that it would be just a short stroll, and after a 30 minutes walk they were already a bit mad at me… But the store was just excellent; they specialise in American and Candian yarn, and I was happy to put my hands on Koigu yarns again, have not bought any in three years (after we left US actually)! And I have to admit that I have never knitted anything in Madeleinetosh yarn, so finding the combined wool and silk, I was totally lost… And the girls who were a bit moody (…as the walk was longer than promised and it was a bit hot and busy in the store), was of course spoiled with some fascinating sharp green/yellow and rainbow yarn. They do not really knit much; but who can deny 9-years old girls begging for yarn?! (Even though it was a bit more expensive than what I like them to have). The people working there was very nice; apologising for being very busy; the store was overcrowded with Tea house guest, and hadn’t all the table been taken we probably would have tried the tea as well (and the cakes… and the ice cream…). I also ended up with two knitting books; Costal knits (I have been admiring the work Alanas Dakos for a while) and Colours of Shetland (Kate Davies is a very skilled designer). To bad their second store, La Bien Aimee, was closed; it is nearby and have mainly european yarn (but that was probably good for the travel budget…!). Aww, would have been a dream come true for me! What a great adventure. I know; it is always great to visit stores like that and to see and touch so many nice yarn types! A great inspiration!